Hello, hello! I have truly fantastic news — Nordstrom is currently having a huge winter sale! You can find everything from tops, dresses, shoes, bags, and more at steeply discounted priced that just might make you weep. 1. A mockneck tee so lightweight, you'll feel like you're wearing a thin layer of cloud. IDK what clouds feel like exactly, but I'm sure you know what I mean. 2. Gorgeous statement earrings, complete with blue crystals, fun tassels, and a faux marble disc. BLING BLING. 3. 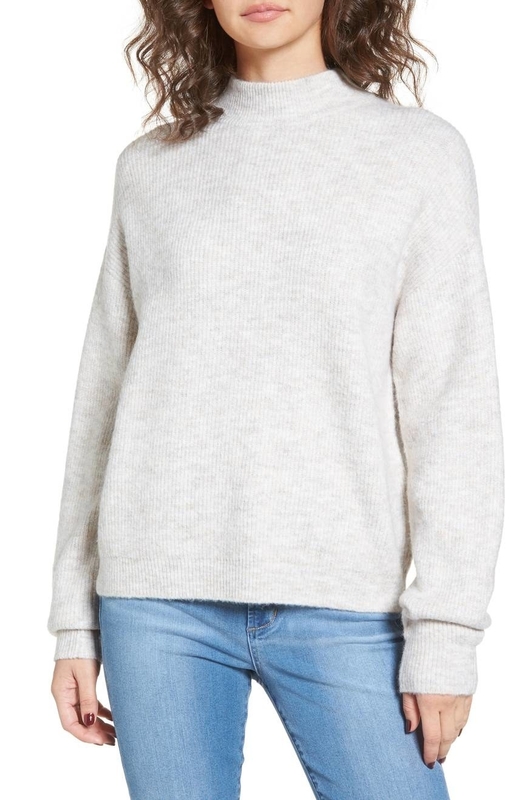 A cozy pullover, not intended for indecisive people. This is available in eight colors; you'll never be able to pick just one. Not that I'm judging! I, too, am indecisive. 4. 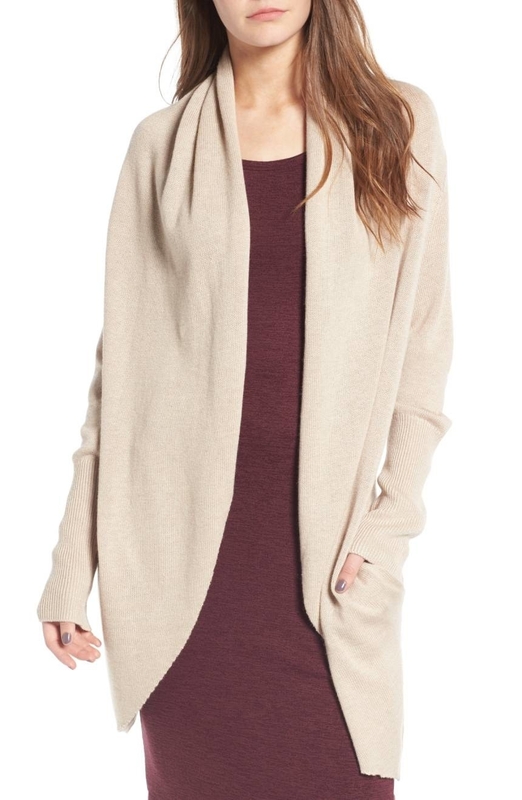 A drape-front cardigan that is a must-have layering piece for every wardrobe on planet Earth. Maybe even for every wardrobe in the Milky Way, actually. 5. 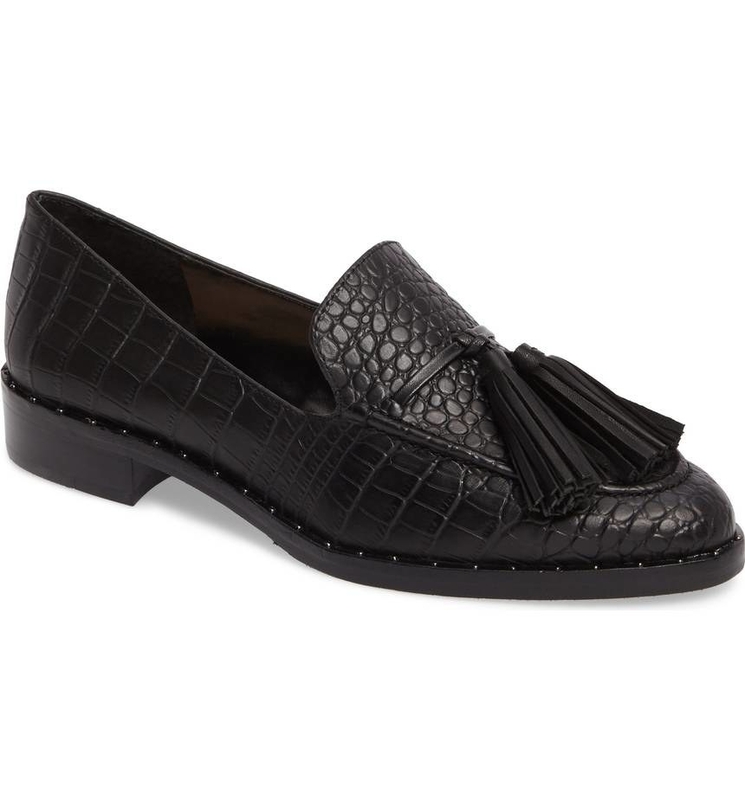 Chic tassel loafers for feet that wish to exude sophistication and style. These shoes will make 'em look exactly that. 6. A lightweight moto jacket obsessed with Drake. It's always saying, "that's the moto baby, yolo." So weird. 7. 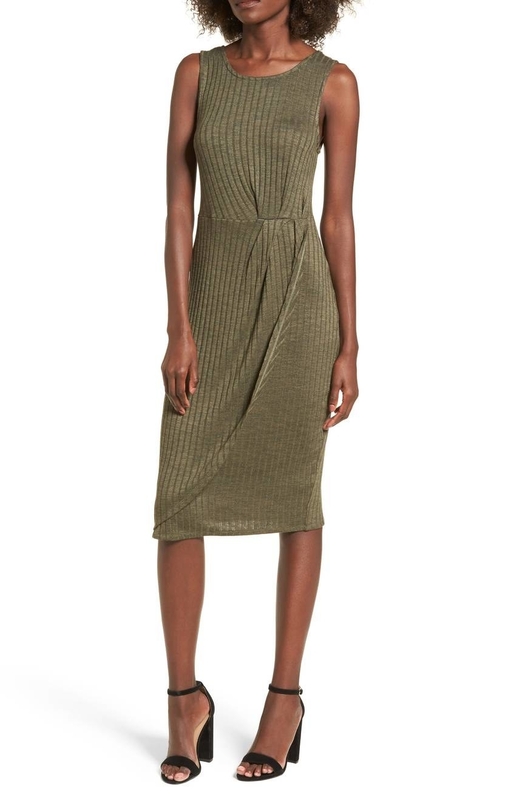 A jersey knit dress known to be a little mischievous. 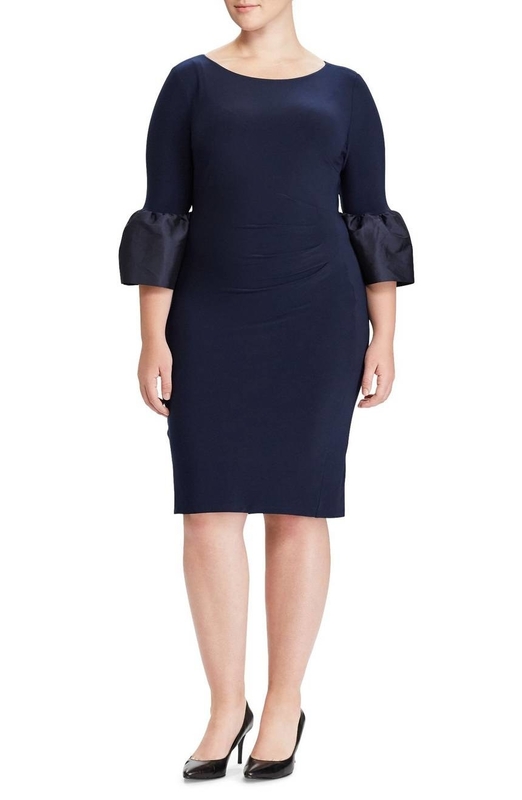 It always has some tricks up those ruffled sleeves. 8. A faux leather duffel bag to actually get you excited about packing. This thing is the perfect size for a weekend getaway! "I CANNOT WAIT TO PUT ALL MY STUFF INTO THIS GORGEOUS BAG!" —You while packing, probably. 9. 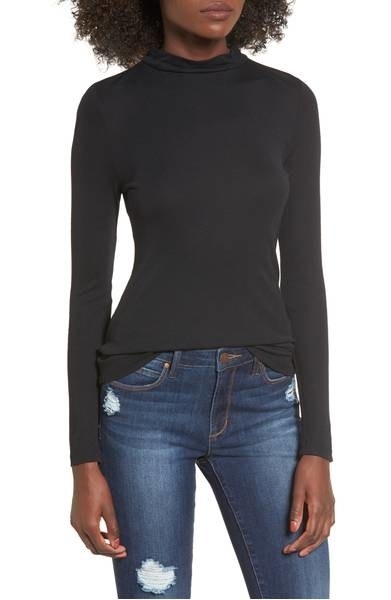 A ribbed top with just a teensy weensy hint of glitter. Two words: heart eyes. 10. 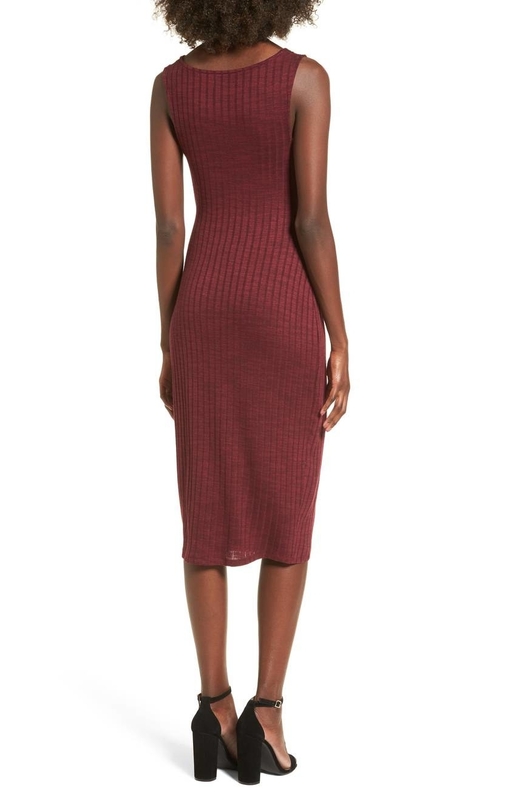 A rib knit midi dress you can dress up with a pair of heels or dress down with your favorite old sneakers. 11. Ankle socks for anyone who very much identifies as a cat person. Dogs? Sorry, don't know her. 12. 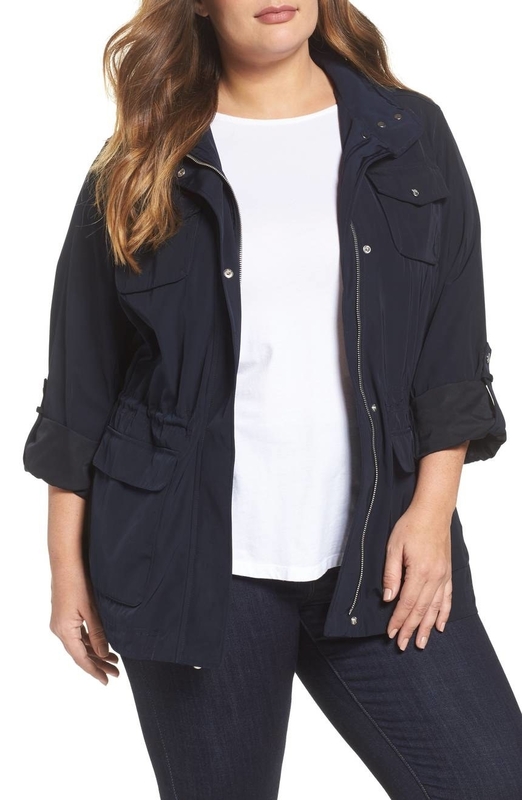 A rain-repelling anorak jacket that takes away the need for a purse. Why? It has super deep pockets you can store all your essentials in. **Not really, but this dress really is the epitome of elegance, isn't it? 14. 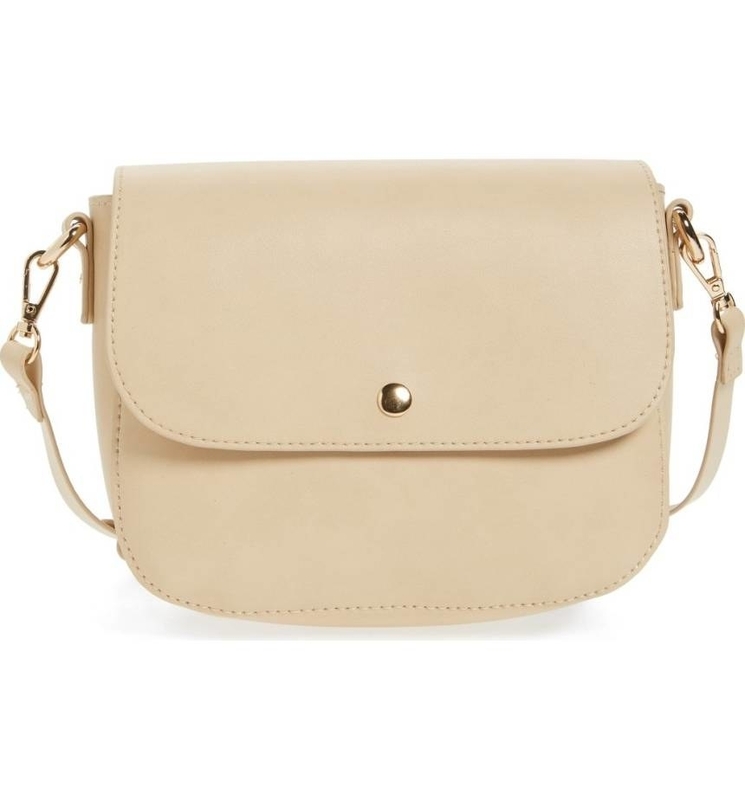 A faux leather cross-body bag, available in two neutral colors, meaning you can pair 'em with any outfit. 15. 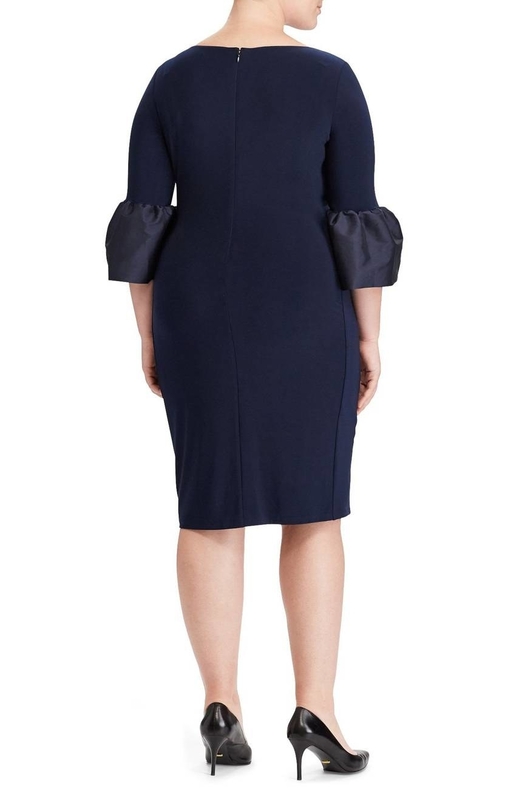 A sheath dress you should purchase with caution. Everyone will be asking you where you got it. ALL NIGHT LONG. "I GOT IT AT NORDSTROM! NOW ALL OF YOU, PLEASE LEAVE ME ALONE." 16. 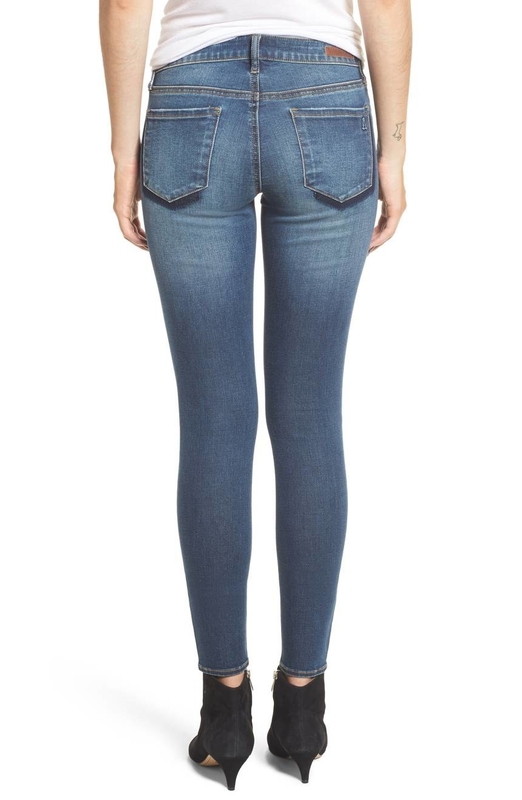 Mid-rise boyfriend jeans that hit right at the ankle, meaning your gorgeous shoes won't be hidden by excess denim. 17. 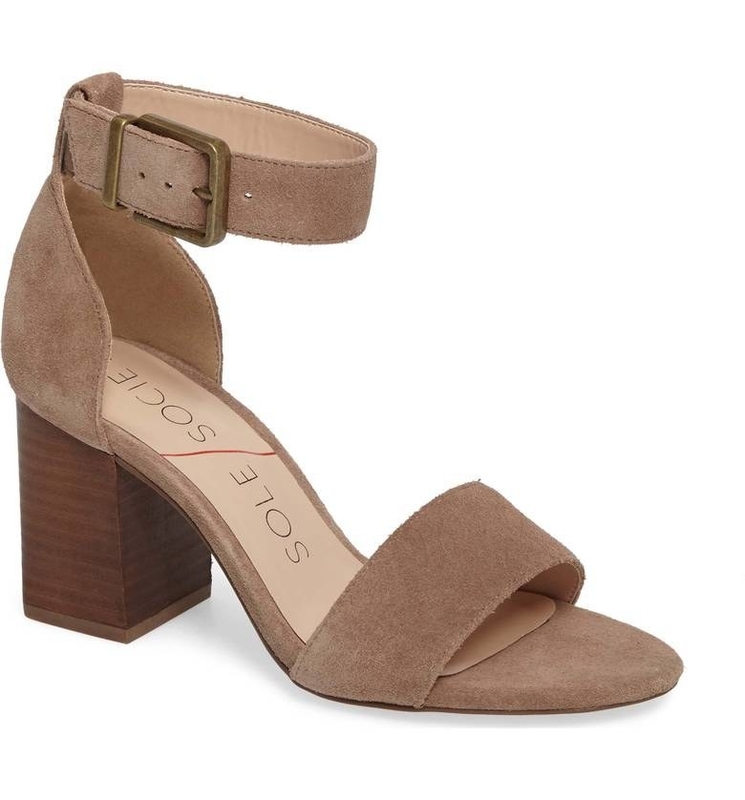 Tulip-shaped booties with a stacked heel to give you some extra height without compromising comfort. AMEN. 18. A lightweight cardigan you should keep in your freezing cold office. Just throw this on when the temperature drops to –10°. 19. An adjustable agate ring so gorgeous, it actually hurts my heart to look at it? Why you do this to me, agate ring? 20. 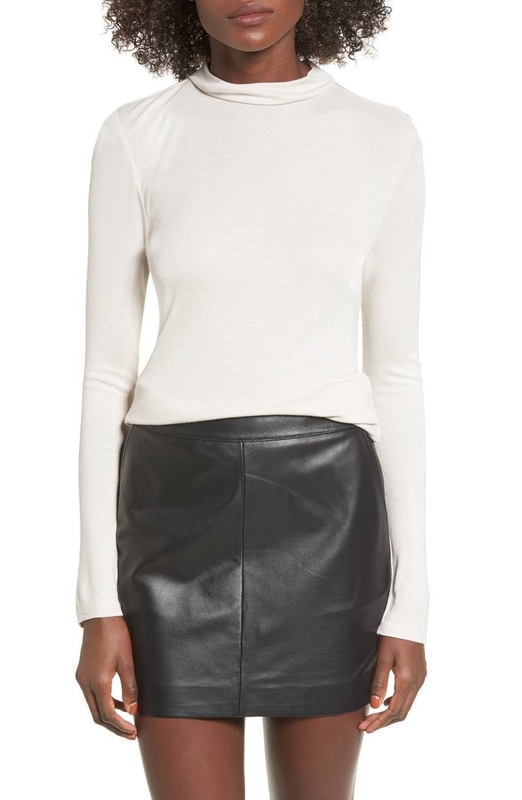 A faux leather and sequin miniskirt for legs that are ready to say "SAYONARA" to leg prison. Sorry, I meant jeans. 21. A sparkly top you've already added to your shopping cart. Now you've added in your payment info. And there it goes — you hit the submit order button. Well, that was fast. Can't say I blame you. 22. 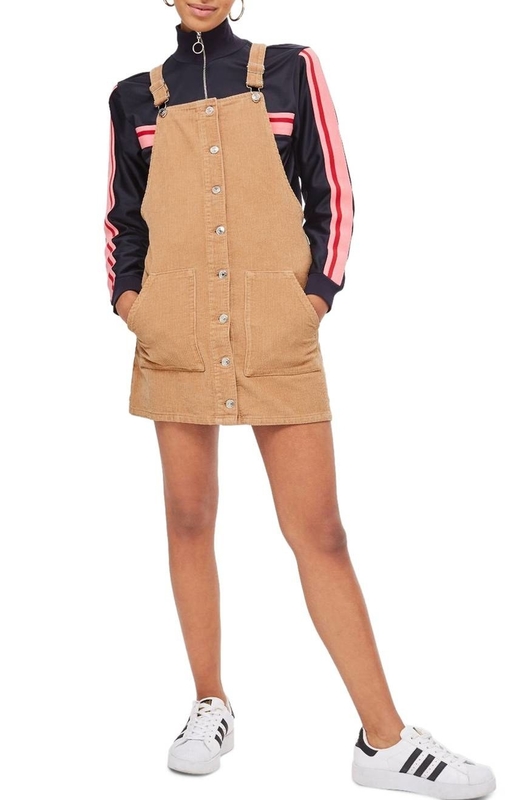 A corduroy pinafore dress that can be worn with long-sleeve tees, sweaters, bralettes, etc. The options are endless. 23. A satin midi skirt you'll want to download the Boomerang app for. It's impossible not to take a 'gram of you spinning around in this gorgeous thing. 24. 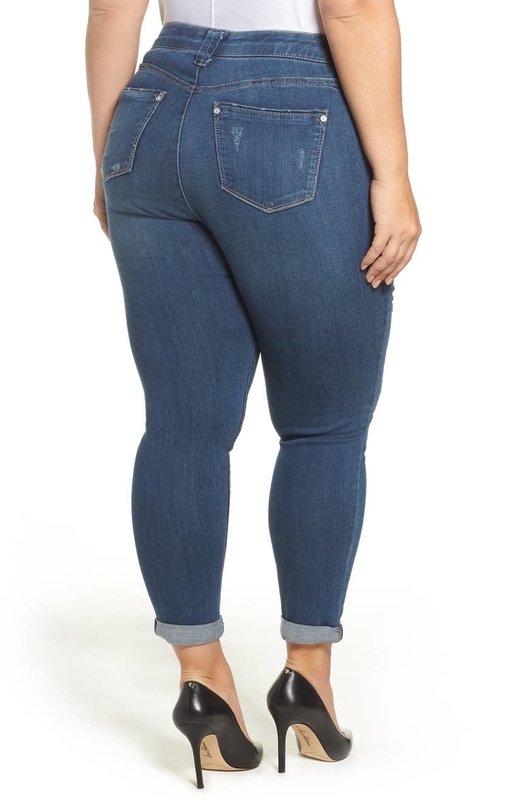 Mid-rise skinny jeans that are absolutely fine. Just because they look distressed doesn't mean that they actually are distressed. 25. 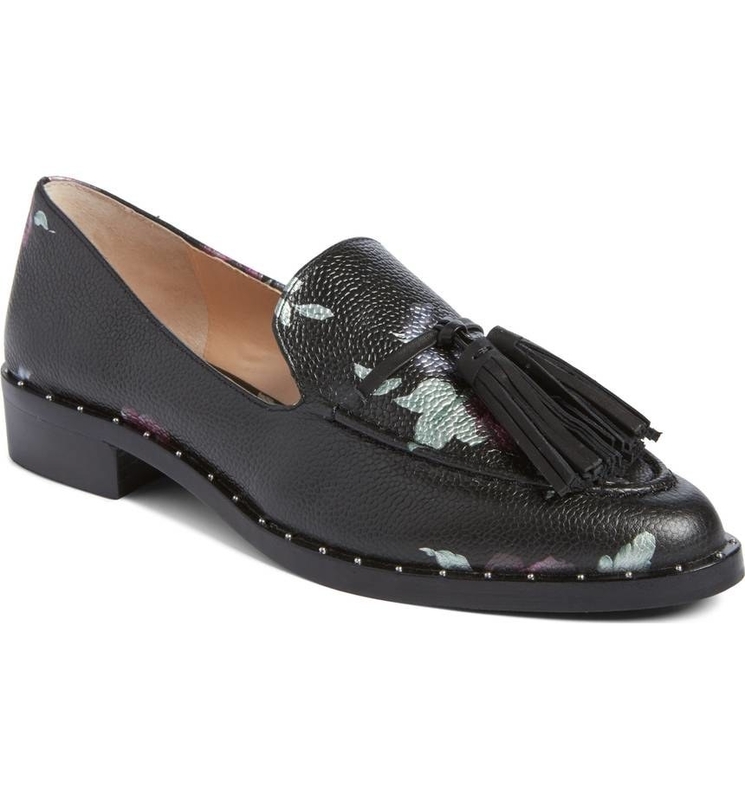 Slip-on sneakers so cute, you might even say they're a-bow-able. It'll feel like you're wearing your favorite basic tee. 28. A sleep set for anyone ready to replace their ratty old T-shirt and Little Mermaid-adorned fleece bottom combo. This set comes with a tank, shorts, and a sleep mask! 29. 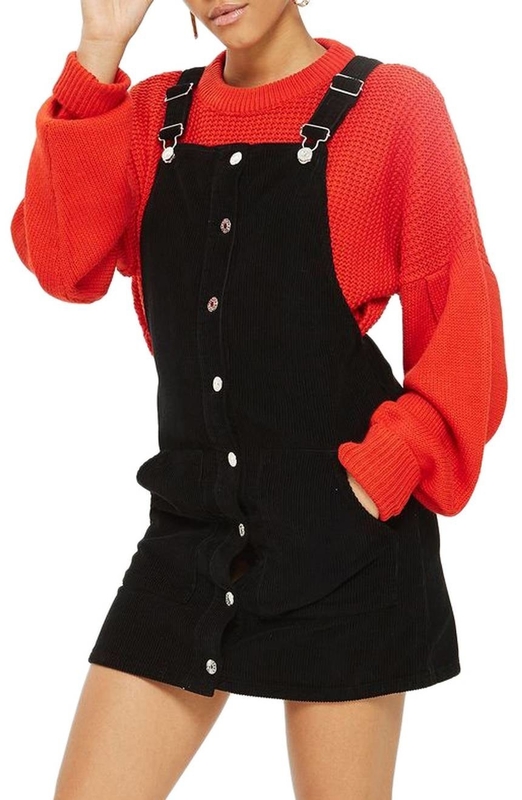 An off-the-shoulder jumpsuit that's already ~jumped~ into your heart and your shopping cart. 30. 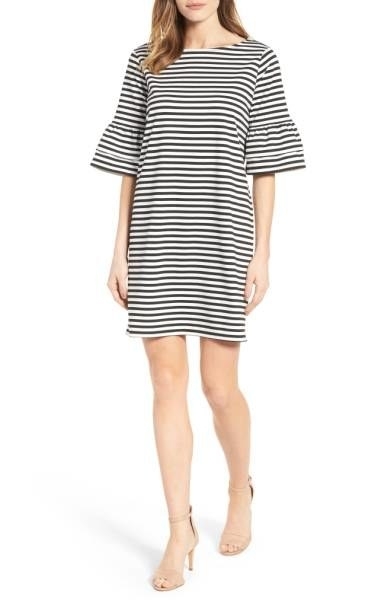 A gorgeous shift dress to completely change the way you see the world. Specifically, it'll make you believe in love at first sight. "I'M IN LOVE, I'M IN LOVE, AND I DON'T CARE WHO KNOWS IT!" —You, talking about this dress. 31. 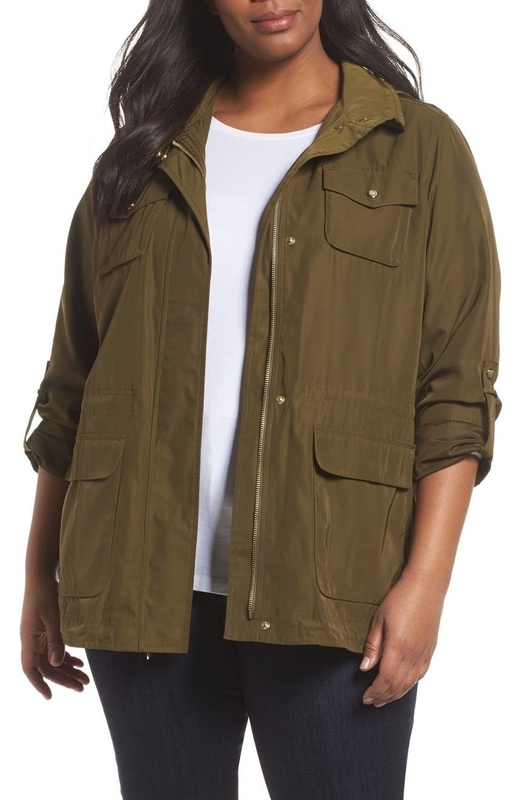 A hooded parka because — unlike Elsa from Frozen — the cold bothers you a lot. And this will keep you warm. 32. High-waisted leggings made from a moisture-wicking fabric that promises to keep you not extremely sweaty. 33. 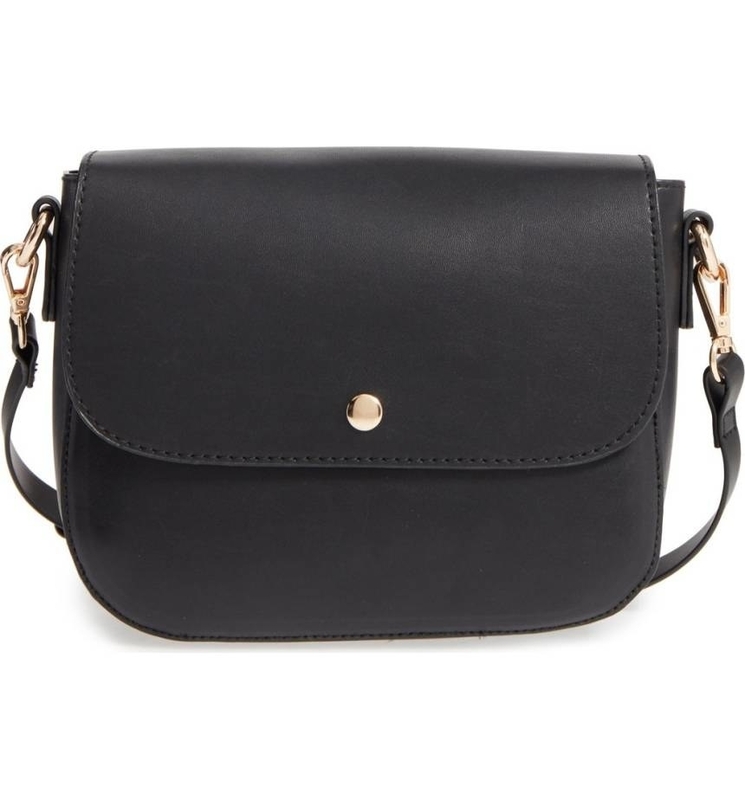 A faux leather mini backpack, so you can carry around your essentials in style. Consider this an upgrade to your 2001 Jansport. 34. 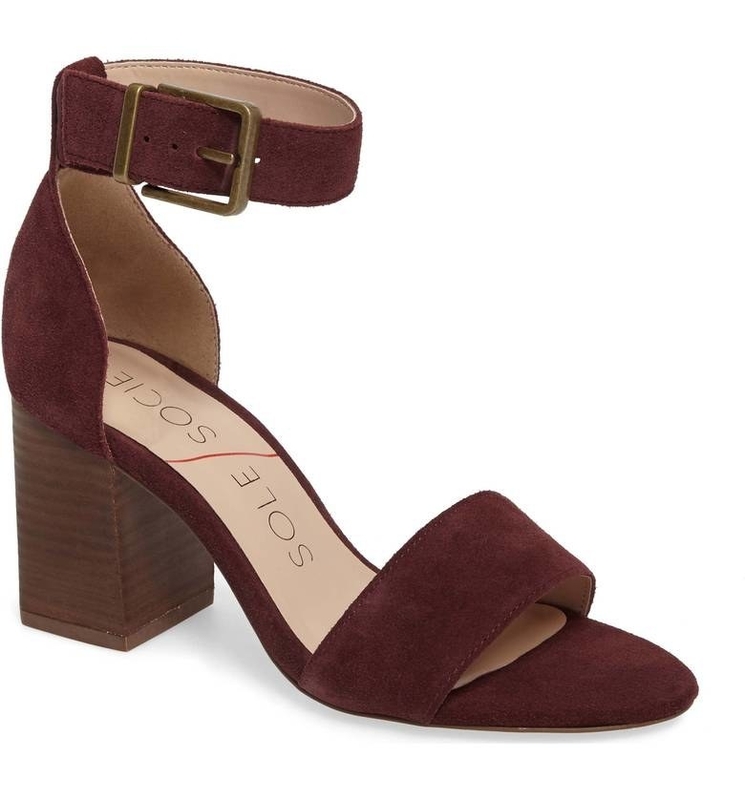 Block heel sandals that are actually the perfect excuse to treat yourself to a pedicure, am I right? 35. 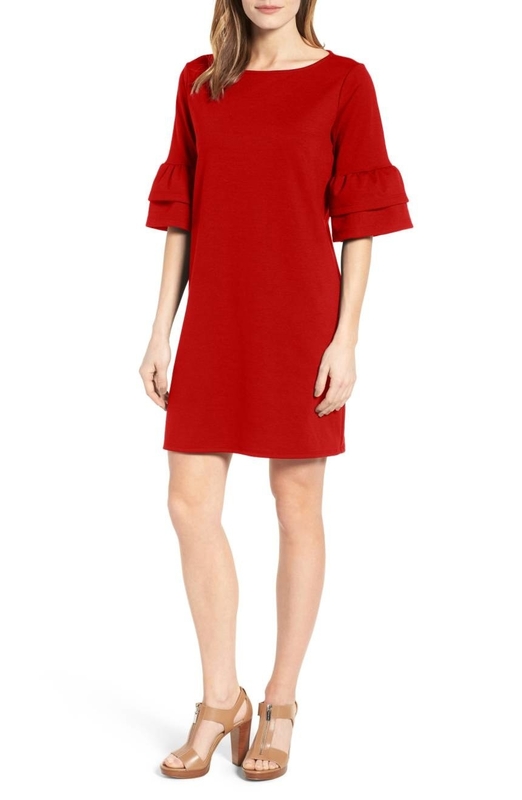 An asymmetrical shift dress perfect for parties! Date nights! Any special occasion that needs a dress! 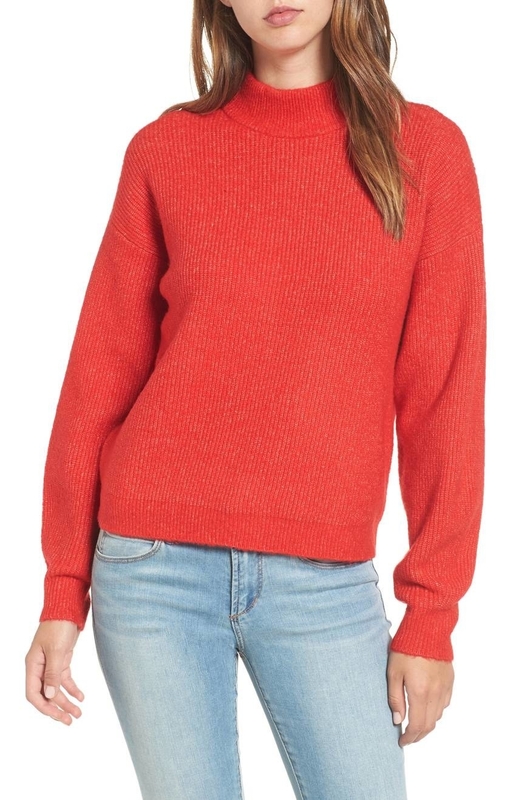 Check out the rest of the Nordstrom sale here.